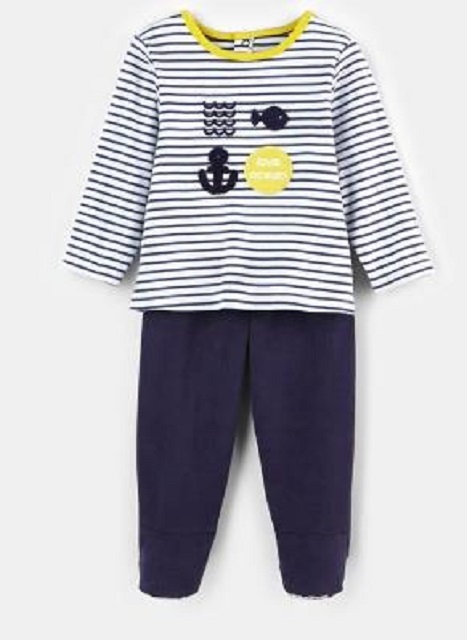 This recall involves certain articles of Obaïbi brand sleepwear sold by Okaïdi Canada Inc. in sizes 6 months and up only. The following models are affected by the recall. The model number is indicated on the front of the product label sewn inside the garment. 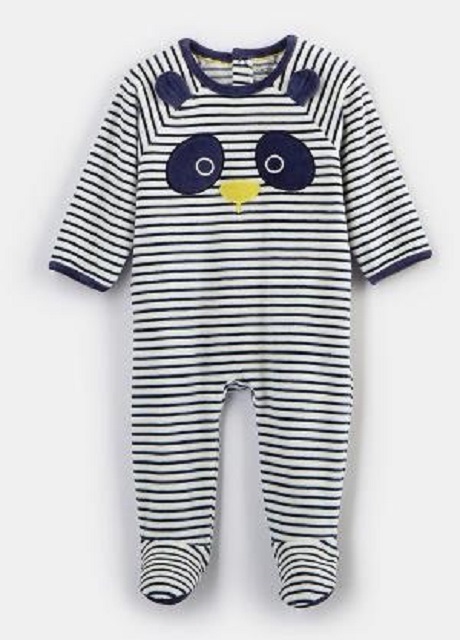 Health Canada's sampling and evaluation program has determined that these products do not meet the flammability requirements for children's sleepwear under Canadian law. Loose-fitting children's sleepwear can contact ignition sources such as stove elements, candles and matches. Once ignited, the sleepwear burns rapidly and can cause severe burns to large areas of the child's body. As of March 13, 2019, the company has received no reports of injury in Canada. For information on what makes safe sleepwear, visit the Healthy Canadians children's sleepwear page . Approximately 220 units of the affected products were sold in Canada. The affected products were sold from December 2018 to March 2019. 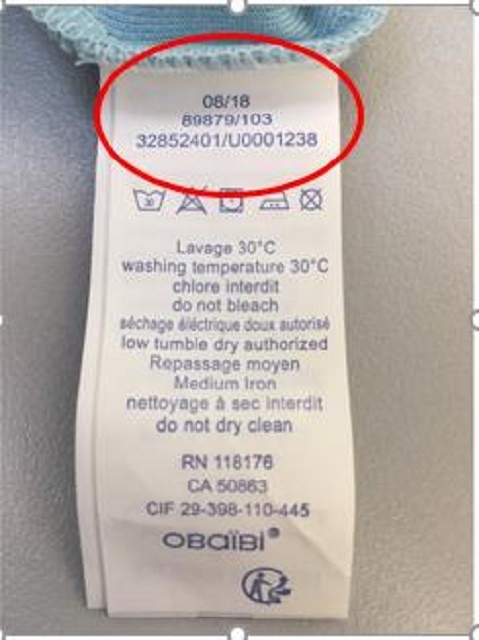 Consumers should immediately stop allowing children to wear the recalled sleepwear and return the items to an Okaïdi or Obaïbi store for refund or exchange for an equivalent product. To find out more, consumers can go to the nearest Okaïdi or Obaïbi store. The list of stores is available on the Okaïdi website. Please note that the Canada Consumer Product Safety Act prohibits recalled products from being redistributed, sold or even given away in Canada. Health Canada would like to remind Canadians to report any health or safety incidents related to the use of this product or any other consumer product or cosmetic by filling out the Consumer Product Incident Report Form. This recall is also posted on the OECD Global Portal on Product Recalls website. You can visit this site for more information on other international consumer product recalls.